There is a lot of romanticism in wine. The grapes, the winemakers, the vineyards… what’s not to love? But wine is, at the end of the day, a business. And that business is consolidating. Companies like Constellation, E&J Gallo and Treasury Wine Estates are continuing to buy up wineries large and small. I know, it’s not that romantic to think about your favorite winery under the control of a global corporation, but it’s a reality of the wine world today. But there are some large wine companies that are doing it right; allowing quality, small production and artful winemaking to continue prospering amongst the balance sheets and P&L’s. Jackson Family Wines is one of these companies. 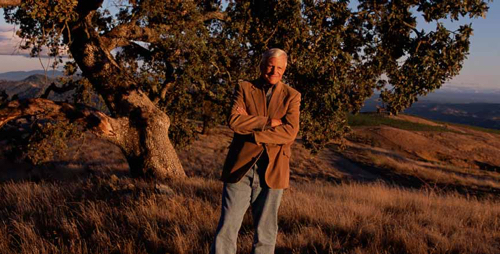 Founded by legendary California wine entrepreneur Jess Jackson in the early 1980s, the company that began as Kendall-Jackson now has roots in five continents. Jackson Family’s stellar portfolio is perhaps its greatest asset. 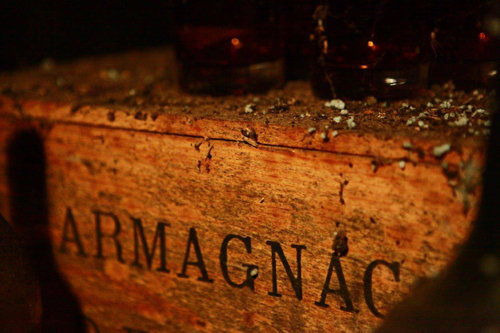 Currently sitting at about 50 strong, the company’s collection of wine brands may indeed be one of the greatest portfolios in the world. It includes wineries like Siduri, Copain, Verité, Cardinale, Freemark Abbey, La Jota and Penner-Ash. 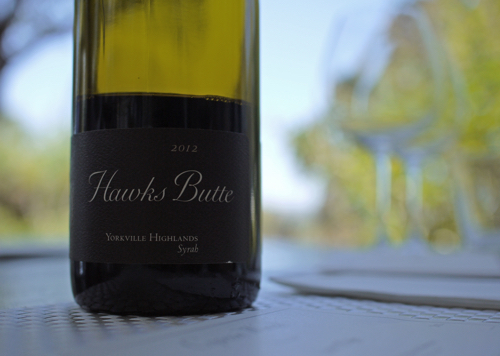 They let these wineries continue to shine, and impart on them many of the great philosophies that Jess brought to the business–like a commitment to sustainability and the environment which is virtually unmatched in the industry. Over the past several years I’ve had numerous opportunities to chat with folks from Jackson Family and taste many of their wines. So on my last visit to Sonoma County, I decided to visit a few of their wineries to get a better feel for the company first-hand. 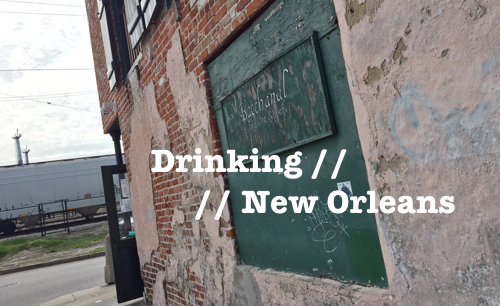 Here’s a quick recap of my two favorite winery visits and some of their standout wines. 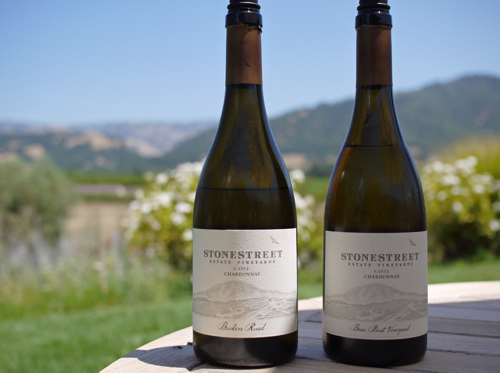 Stonestreet Estate Vineyards, towering high above the Alexander Valley in the Mayacamas mountain range, was one of Jess Jackson’s favorite places on earth. In fact, he loved it so much that Jess and his wife Barbara built their family home up there. When I visited the winery, it was easy to see why the Jacksons would fall in love with this land. It’s awe-inspiring. 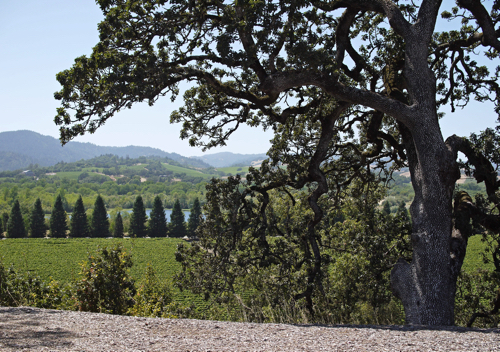 From outside the main winery building, which is just about 15 minutes northeast of Healdsburg, you gaze out upon vineyards and tree-lined mountains in the distance. It’s absolutely beautiful; and it’s all part of the Stonestreet estate. Mountains and all. An impressive site, no question, but even more impressive when you realize that the visible area from the winery is only 5% of the entire 5,000 acre Stonestreet property. No joking, the mountains shown in the picture above are just the tip of the iceberg. 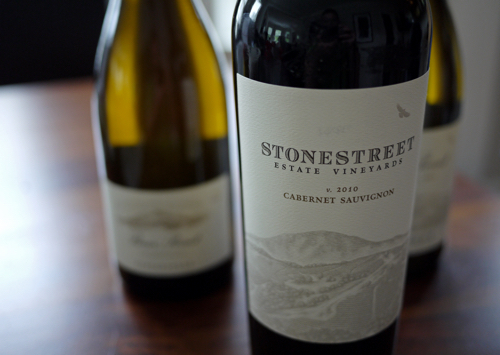 I first tried the Stonestreet Estate Cabernet Sauvignon with Steve Heimoff–a former California wine critic that now serves as an educator for Jackson Family Wines–when we met up in Boston last year. At the time, Steve had just recently started working for Jackson Family and tasted me through a number of the company’s wines. But the 2010 Stonestreet Cab was the one that really captured my attention. I’ve looked to it many times since as a go to. For about $35, it’s a killer buy. 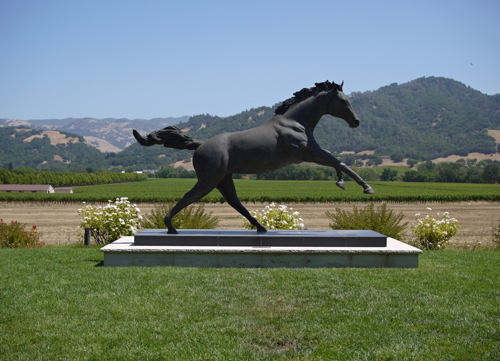 Stonestreet’s winery and tasting room is located at 7111 Highway 128 in Healdsburg, CA. Call ahead for reservations. Copain is one of Jackson Family’s latest acquisitions (and if I may say so, one of their coolest purchases to date). 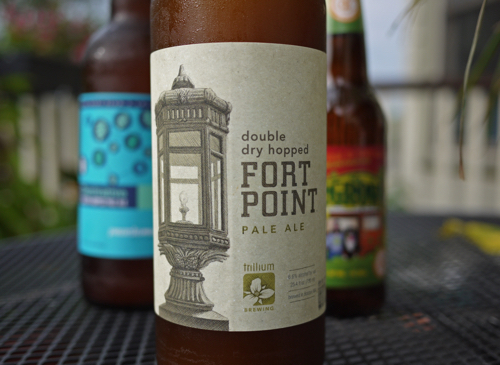 In fact, when I made my tasting appointment there a few months ago the acquisition hadn’t yet been announced. 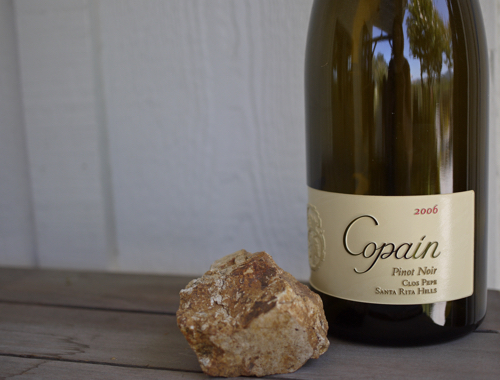 Founded by winemaker Wells Guthrie in 1999, Copain has become one of the standout boutique wineries in Sonoma County. As a part of Jackson Family Wines, Copain highlights the company’s attention to finding wineries that are making truly excellent and authentic wines. Copain Wines is located at 7800 Eastside Road in Healdsburg, CA. Call ahead for reservations. After seeing the wineries in person, tasting the wines, and meeting the people (like Todd McKim from Stonestreet who was absolutely amazing), I’m even more convinced that as far as big wine companies go, Jackson Family is at the top of the pack. 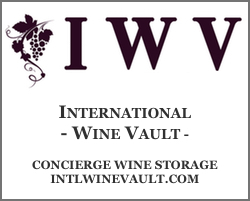 Visit any of their wineries in California and I’m sure you’ll be impressed. Nice work, Jess. You created a hell of a company. Thanks to Carolin at Jackson Family and Chris at Copain for helping me set up the visits.